Queensland - Grief, heartbreak, determination, courage | Mike Hitchen Online: Mike Hitchen Unleashed - telling it like it is! Whoever created the world, created one of the most beautiful countries in the world - Australia. But beauty comes at a price and the price we pay is a land parched by drought then devastated by floods that descend upon townships faster than many outside this Southern Land, can possibly imagine. We have learned to live and cope with the harshness of Mother Nature, a fact demonstrated by Queenslanders during the recent merciless floods. The spirit, determination, courage and strong sense of community sprit shown by Queenslanders has been an inspiration to us all. Too often we talk glibly about heroes. Score a century in a cricket match and get well paid for doing so, and you are a hero - at least according to the media. Yes, sporting, artistic and academic achievement should be celebrated - but they are hardly acts of heroism. A true act of heroism is someone seeing their home swept away, then the next day picking up a chainsaw to help their neighbor - even though their heart is still hurting from their own loss. Then there are those who check on others they may not even know, seeing if they want a helping hand. You can add to that families that have lost everything but refuse to be overcome by despondency - determined to carry on and start all over again - even if they are not sure how. Heroes are those men and women in the police, emergency services, ambulance services, fire services, volunteer rescuers and all those who put the welfare and safety of others above themselves. We have seen terrific acts of bravery, kindness and good humor from all those services and volunteers involved in rescue and recovery efforts. Queensland - we pray for you. Queensland - we salute you. 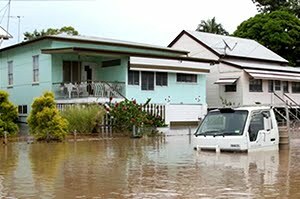 The Queensland Government has launched an appeal to help fellow Queenslanders affected by the recent floods. Many communities have been devastated. Some families have lost everything. You can help make a difference by donating to the Premier's Flood Relief Appeal. Make a donation to the Premier’s Disaster relief appeal using a secure payment form. Once your transaction is complete, you should record the receipt number for your transaction. If you do not receive a receipt number, contact your financial institution. You can post a cheque donation – please do not send cash.